The former Conservative Party chairman Grant Shapps said this week that the prime minister lost her majority because her policy ideas “simply didn’t stack up”. “We didn’t need to be here. I think it’s extremely frustrating. I think we had an unnecessary election and the world’s worst manifesto from the world’s oldest political party,” he said. “If we fail to learn the right lessons from the election then we will find that we never win elections again.” Shapps also rejected the suggestion the Tories lost their majority because voters had turned against austerity. How wrong Shapps is on that one! Grant Shapps is a typical right-wing politician of today’s Britain. A few years ago Shapps was discovered to have had a second job as a “multimillion-dollar web marketer” under the pseudonym Michael Green for at least year after he first became an MP. In a Guardian article his company “was dissolved after it marketed “scraping” software TrafficPaymaster – the sale of which, the police said, may have been an “offence of fraud”. And this was the best the Tories could dig up as party chairman! Shapps is the embodiment of just about everything wrong in government in Britain today. In the end, the Conservative party has trashed one of the greatest and most influential nations in the world. It is needless to say that the Labour party have done no better. What we have now is two political ideologies that Britain simply cannot afford either economically or politically. It is not possible for the extreme neoliberal capitalism we have seen since Thatcher’s deregulation of financial markets to continue, just as much as it is not possible to continue to drive down corporation tax that Britain has done over the decades, which many regard as almost being of tax haven status. Just these two policies of the far-right economic ideology of Thatcher have led to disaster. The first crashed the world economy, its lingering effects hurting millions, the result is a national debt which currently sits at an eye-watering £1.8 trillion and rising.. The second deprives the nation of much needed tax revenue to pay for the basics. These basics such as education, health and welfare are needed by the very same corporations who don’t contribute to it but extract from it to maximum advantage – often with exploitative practices. Likewise, the nation cannot afford a strong left-wing party like the one envisioned by Jeremy Corbyn who will inevitably drive up costs to such an extent that the national debt spirals completely out of control via hugely increased welfare expenditure that the nation would need to wean itself off from again. Even the Tories with their just as failed austerity ideology, that didn’t achieve anything at all, couldn’t tame the rising national debt problem. By the way, the national debt at over 85% of GDO does not include public sector pension and PFI liabilities – if they were included, the debt has overtaken the 100% mark already. What solution does the socialist or neoliberal model have to figure that one out. The answer is simple – they don’t. The 1922 Committee are best described as an unhinged Tory pressure group within government. They have not once thought about the national or public interest. Stacked full of self-serving dinosaurs, it was they who pressured David Cameron, himself just a weak public relations executive for corporations, into holding that utterly stupid EU referendum. And by stupid, I mean stupid because what the Tories did in reality was to give a protest vote to a population tired of austerity, tired of bankers and their egregious acts of recklessness, tired of exploitative corporate power, and tired of unelected meddling bureaucrats in Brussels. Having done so, the Tories decided in its almighty wisdom to call an utterly unnecessary election that has rendered the country almost entirely ungovernable. In doing so they are now in bed with a bunch of extremists who are themselves supported by terrorists and thugs simply to exist. Both of these actions were called purely for the purpose of sorting out internal conflicts and differences within their own party. What an utter shambles, a total disgrace and international embarrassment the Conservative party are. The first is immigration. 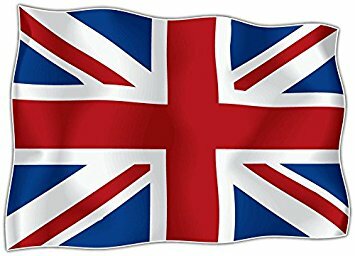 Much as expected, Britain’s vote to leave the EU was the result of widespread anti-immigration sentiment largely stoked up by the mainstream media, rather than a wider dissatisfaction with politics, according to a major survey of social attitudes in the UK. Findings from the British Social Attitudes (BSA) survey published yesterday show Brexit was the result of widespread concern over the numbers of people coming to the UK. Of course the vast majority, in fact millions did so under the EU’s freedom of movement rules in recent years. So why hold a referendum to remain, knowing this was the biggest gripe of the nation? The second problem is one of control. A survey, conducted by Greenberg Quinlan Rosner and published shortly before the triggering of Article 50, showed voters across the political spectrum and of all classes and age groups feeling that they have little or no control over a wide range of areas of life, stretching from Westminster government to big business to the provision of public services. Many of them feel devoid of control over a much wider range of issues – including opportunities for their children – than those addressed by Brexit. 81% feel they have little or no control over the Westminster government. 79% feel they have little or no control over their local council. 79% feel they have little or no control over public services in their area. 75% feel they have little or no control over their neighbourhood. 70% feel they have little or no control over companies that provide essential services. What this really means is that the EU referendum for many was more about a protest vote against immigration itself and not about the EU as a whole and that it is OUR government who has made people feel as though they has little or no stake in tor community in which they live. What Next – The Spark That Lights the Revolution? Revolutions often start by disorganising the old or established organisations in society. Their results include major changes in culture, economy, and socio-political institutions. The EU referendum and May’s election was really a manifestation of everything gone wrong in Britain. The establishment is taking a beating and major changes are on the way. 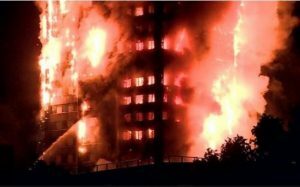 It has to be said, the Grenfell Tower inferno is Jeremy Corbyn’s moment. The Labour party is now fully capitalising on that one event whilst Theresa May hangs on to what little power she has left, and it is proving seismic. The Tory response to that dreadful event was not just dire, it handed the far-left a chance to demonstrate just how terrible the Tories really are at reading the political mood of the nation. The entire nation now knows that they are not competent to govern, even Conservative supporters know this – which, let’s be fair is true. The Grenfell Tower Inferno will continue for months, years even. The death toll will continue to make news and it will be spun out to kill off whatever credibility is left of the Conservatives – now truly the ‘nasty party’. Jeremy Corbyn is not the Messiah his supporters claim him to be though. He, like most other politician’s, simply do not have the answer to Britain’s real problems. If anything, Corbyn’s far-left supporters will drive an even bigger wedge into society than the Tories have managed. Although Corbyn seems to be both genuine and principled and he does speak a good deal of sense, his policies are more about promising everything to the masses without considering who actually pays the most for everything. In the end, Corbyn will disappoint just like the Tories have done. Then what? If anything, the wind of real change is rather frightening. The impact of Brexit will affect us all for decades, possibly forever and yet, the governing party are in self-destruct mode and the party in waiting will probably make matters worse. They will take us all down in their collective sinking ships. Britannicus Titanic. Murmurings and rumours suggest Theresa May will be facing a vote of no confidence within a week. That said, there is strong evidence that her chances of surviving the Tory party conference later in the year is next to nil. In addition, the electorate saw the election as a rebuke to her move to pull Britain out of Europe’s single market i.e. a ‘hard Brexit.’ Going back to that BSA survey, what people really want is proper control over immigration (which the Home Secretary Theresa May emphatically failed at), not a full exit from Europe. Given the challenges Britain currently faces both internationally and domestically it is highly unlikely that either political party will survive in the formats presented to us post Brexit. What would be positive right now would be the emergence of a centrist party. One that believed in a mix of both socialism and capitalism but both regulated to ensure the best outcomes for society and the economy as a whole. This may well follow Brexit but only because a truly terrible deal, wrong deal or no deal will have been forced upon us by an emboldened EU27 who exploited the Tories greatest weakness – a government in disarray. That assumes of course that they are still in power. In the meantime, the centre ground does not need flawed characters like Tony Blair and his so-called ‘Blairites’ to infect it with his toxic ideas on world governance either. If another general election took place today, Jeremy Corbyn would win with a majority. This would not be because he or his policies are right for the country but because the British public are currently voting out the establishment and want to feel like they have been heard for once – because the establishment have failed them for four decades. What else is there to vote for today other than the anti-establishment? Let’s not forget what has happened here. Britain has a genetically flawed democracy. It has a managed democracy run by the privileged for the benefit of the rich and powerful and supported by a truly malicious media. I have said for some time now that we have anarchy by the rich and powerful in Britain and this is what it now looks like.